Beautiful blonde wig boasts wavy tresses with ringlet curls at the bottom. This gives an adorable bounce & volume to the wig. Medium Black Butler Elizabeth blonde cosplay wig comes with an extension that you could tie with a bow to introduce a kawaii touch. The wig seems to switch the color from golden brown to pale blonde and dirty gold under different lighting. This wig is a must addition to your closet as it is perfect for both casual and convention occasions. 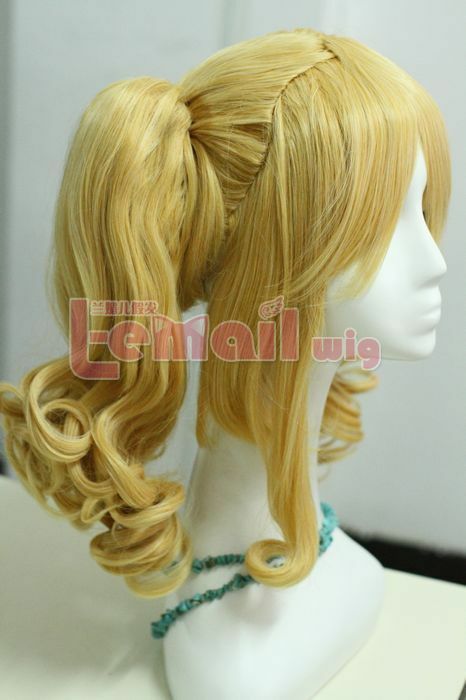 Black Butler Elizabeth Cosplay wig is a beautiful shade of blonde. The cosplay wig is an accurate copy of Elizabeth’s hair style. 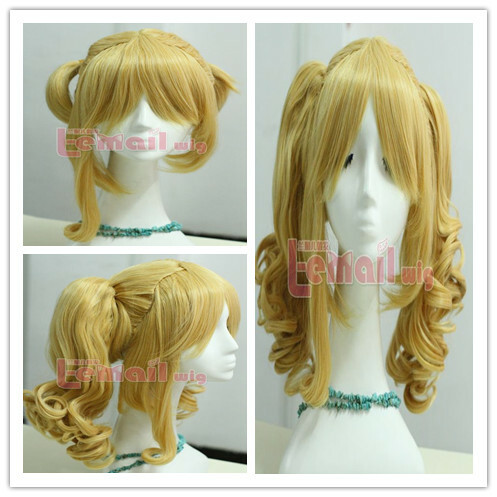 The wig is enticing three piece cosplay wig with a short bob base wig and two pony tails that can be separated when desired. Wear the bob alone that always remain timeless or wear them with pig tails if you are aiming for childish & innocent looks. The bangs require customized cut to fit your face. This entry was posted in Buy Cosplay Wigs, Wigs and tagged beautiful blonde wig, Black Butler cosplay, Black Butler Elizabeth cosplay wig.